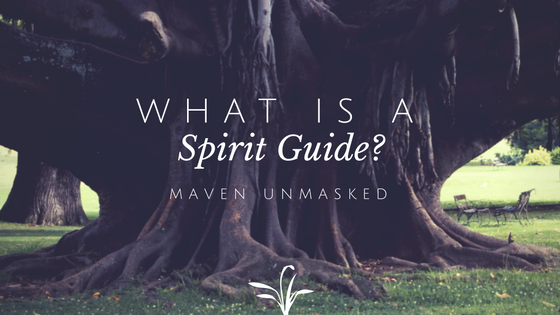 This 2 part series is only the tip of the iceberg when it comes to understanding your spirit guides and building a relationship with them. This article is only the beginning of that partnership. Just as any significant relationship takes time, nurturing, communication, and patience to develop, so too does one with your guides. It is not instantaneous and will grow and change over the years. Be open to the discovery, the wisdom, and the experience. A Spirit Guide is a spiritual teacher, a highly evolved soul, who helps to guide you through life and navigate the path of your soul purpose. Their number one concern is you and what is for your best and highest good - however, they cannot intervene in our affairs without our permission due to the free will we have as souls. Your Spirit Guides have a different role than your Guardian Angel. Your guides are with you everyday. I feel that your Guardian Angel only comes around when their is a specific need for their help and protection. Each guide you have has a different role in your life. You may have a guide for your business and career, for joy, for wisdom, love, health, protection, etc. You also have a Master Guide who oversees the whole of your life and is like a manager who oversees the duties of your other guides. Your Master Guide comes around for the big spiritual lessons and themes of your life. Your guides can help you through challenges, work with your energy, and place timely opportunities on your path. If you're a Medium, working with your guides is extremely important as they help you in readings while communicating with the other side. They are your personal spiritual team of teachers! The ultimate guides to help you navigate this life in order to fulfill your soul purpose. YES! Everyone has at least one spirit guide - even your mom, grandmother, significant other, or child. As of now, I have met 10 of my Spirit Guides. It has taken about 3 years or so to connect with them and to be able to understand each guides unique name and vibration. There is still much to discover. You can have 1 - 1,000 or more I suppose. Do you have one guide your whole life or do they come in and out as needed? Some may come and go from your life. Perhaps only there to help you with a particular lesson or situation. As we learn from them, they learn from us too! It is about the evolving of souls on both planes of existence. Can an animal be my Spirit Guide? Can my loved one in spirit be my spirit guide? How do we choose and communicate with our guides?